The Department of Conservation carried out their second-largest rat eradication programme on Little Barrier Island (Hauturu), in winter 2004. 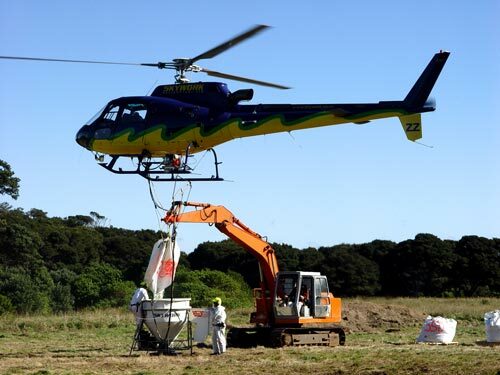 In two aerial drops six weeks apart, three helicopters spread 55 tonnes of rat bait over the 3,083-hectare island in an attempt to wipe out kiore (Pacific rats). Monitoring two years later confirmed that it was successful. The aim is to restore the island’s forest ecosystem, where burrowing seabirds, tuatara, lizards and insects can live free of predation from introduced mammals.